I blog about my unique business model. 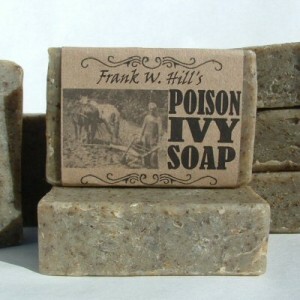 Currently I’m working on a series about all the uses of lye soap that customers have shared with me. 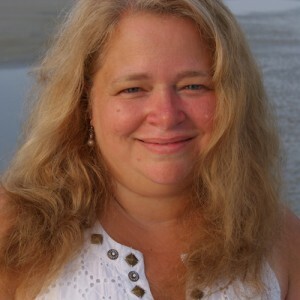 I also write about Appalachian culture, language, native plants, folk remedies, music, and my Appalachian ancestors. Oh, I also write about my soap, too! 2. Poverty is the mother of creativity. 3. Relaxation equals the beach or the mountains. 4. Besides soapmaking, I sew, crochet, knit, and solve most problems with cardboard and/or duct tape. 5. The best thing about soapmaking is that my house smells good; therefore, I don't need to bother with housecleaning. I'm trying to convince others of my theory. I've crafted since I can remember. My mother started me on embroidery at 4 1/2 years. I took sewing in 4-H until I gradated from high school. Crochet and knitting were self-taught through Woolworths' booklets. It was only a matter of time till I tried soapmaking. It's been about 9 years know since I made my first batch of soap. It was not a pretty time in my life. We were jobless in my parent's basement. I tried soapmaking as an alternative to a therapist. We made it thought, so I guess it worked pretty well. I use my Appalachian culture and family heritage as inspiration for the types of soaps and salves I make. 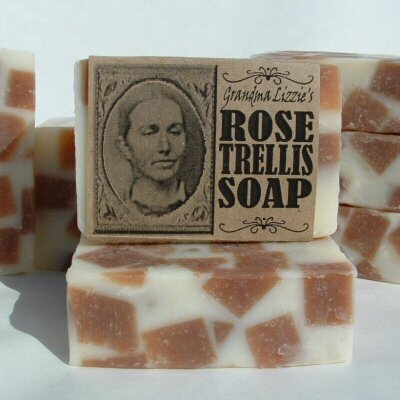 Each soap is named after an ancestor of mine. I use a story from their life for the label which also bears their picture. 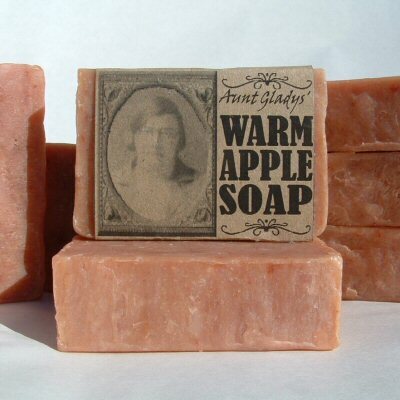 For example, my Warm Apple Soap is named after my Aunt Gladys. She was the first person in our family to ever go to college. After graduating she came back home and taught in a one room schoolhouse. Her income was the only cash money that the large family had. My salves are based on folk remedies and native medicinal plants in my region. I recently made Mother Lydia's Oat & Milk Soap, a gentle color free and scent free goat milk soap. I purchase my goat's milk from the Fagan Farm in Lower Salem, Ohio. After freezing the milk twice, I use it for the liquid in my lye solution. I use a blend of 5 oils to mix with the lye. At trace, which is like pudding, I add ground oats, melted cocoa butter, and evening primrose oil. I pour into long log molds which I then freeze so that the soap doesn't turn brown. Goat milk likes to caramelize. After about 48 hours I cut the bars and let them cure further before wrapping. I sell my soaps and salves at two local farmer's markets, historical festivals, and online at ArtFire. Handmade for me means there are layers of meaning to the product. There's a story behind who made an item, why they made it, and why it connects with me. Handmade means I can meet the artist who created. With this knowledge I can better appreciate what I have and use. There's greater personal satisfaction in that knowledge and use. Economically, I prefer to support handmade artists. I feel the money is better invested through that local artist and the return of dollars to their local economy.